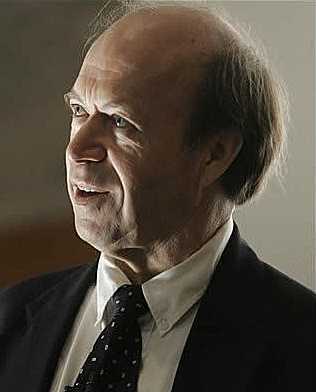 Dr James Hansen, former respected space scientist, “father” of global warming, now an unrepentant activist warning of nothing less than the imminent destruction of the world — which at one time was the very definition of ‘crank’. While on the subject of awkward, unanswered emails, let me pass on a message I recently sent to Dr James Hansen, the scientist widely famed as the “father” of global warming. I still hope he will offer some explanation. The Climate Conversation Group and I have become interested in the very meaning of “taking the temperature”, calculating the so-called “average” temperature for a place and a region and the meaning of doing so. I have just seen your web page [The Elusive Absolute Surface Air Temperature (SAT)], discussing these and related matters. It is an interesting and informative page. You say there is no agreed method of measuring surface air temperatures and, in fact, there are numerous practical and theoretical obstacles to ever achieving such a measurement. There is a very obvious question raised by that discussion. We are interested to know why, if it cannot be done, do you do it? 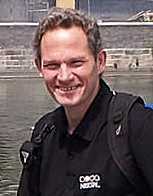 Dr James Renwick, NIWA Principal Climate Scientist. Earlier this year I struck up a conversation with Dr James Renwick, NIWA Principal Climate Scientist. But we only exchanged a few messages; these were the last. After eight weeks I guess he no longer intends answering so I want to reveal the awkward questions he wasn’t prepared to answer. Here is his last email to me, followed by my response. Our glorious Earth, 4500 million years of age, with its fragile atmosphere, which appears now in dire need of protection from us. Note how thin the atmospheric layer appears in this stunning photograph. This is where talk of emission trading schemes began; their aim was to conserve this thin, life-giving layer. But then financial interests (people with money) saw good possibilities, in gaining permission to sell the thin air, of making, perhaps, a dollar or two for little outlay. All right, no outlay. If the thin air is given further thought as this wonderful new scheme begins to dominate our economies I would be surprised. Powerful forces are pushing the climate change hustle as strongly as they can and the welfare on their mind is not the planet’s. No, 38 countries have commitments under the Kyoto Protocol, and 29 of them, or three-quarters, already have an emissions trading scheme. Nor is the scheme a tax. Although consumers and businesses will pay $350 million in the first year of the scheme for their emissions, foresters will receive $1,100 million in carbon credits for post-1989 forests. Far from providing net revenue to the Government, the scheme is actually a cost to the Crown. There are 12,000 New Zealanders who, in good faith, planted trees on the assurances of both National and Labour Governments that they would receive carbon credits for those post-1989 forests. The emissions trading scheme honours that commitment. It is significant that there are so many voices raised against the ETS. 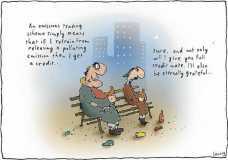 A cartoon lampooning the ETS. It deserves all the lampooning it gets. Click to see legible text for greater understanding. Rodney Hide confirms this, saying that he has never received such a high level of public support on any other issue. He says Kiwis around the country are annoyed. They know there’s no need for an expensive ETS that will deliver no benefits whatsoever. It behoves you to listen to us and very smartly do something about our concerns or next year you will find yourself back in the loneliness of Her Majesty’s Loyal Opposition. Our ETS will do nothing for the environment, will diminish the budgets of hard-working families and will require a monstrous create-nothing bureaucracy. In addition, though the ETS purports to be based on movements of carbon dioxide into and out of almost every large-scale process in the country, there is no way to measure such movements. 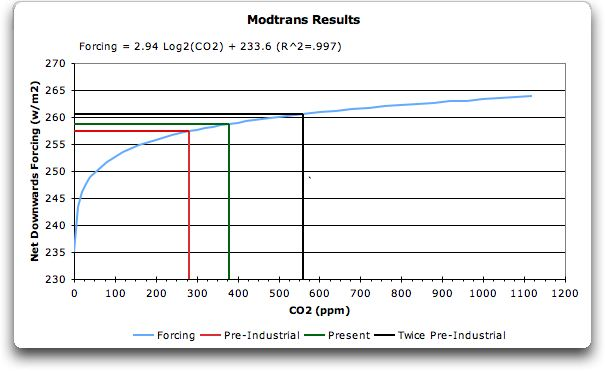 If you don’t believe me, ask your officials; uptake and emission of CO2 are based predominantly on computer models. Since it can’t be measured, everyone can overstate with impunity the quantities involved and has an incentive to do so. Fraud is rife in the overseas schemes and there’s no reason to think it won’t occur here, too. Because of our power generation structure, even the price of renewable electricity will go up because of the ETS, giving windfall profits of millions of dollars to the generators. It’s too much to pay; and we refuse to stroke the over-anxious egos of comfortable, middle-class, socialist greenies. Pay attention: We don’t want an ETS. 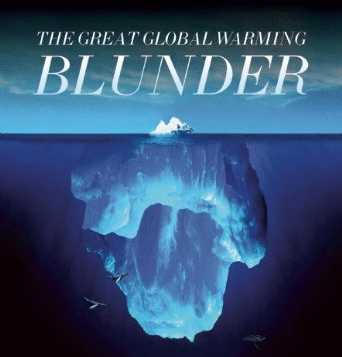 The Great Global Warming Blunder: How Mother Nature Fooled the World’s Top Climate Scientists. By Dr Roy Spencer, who’s been a tenacious sceptic of anthropogenic global warming for many years. Click for previews at Amazon. 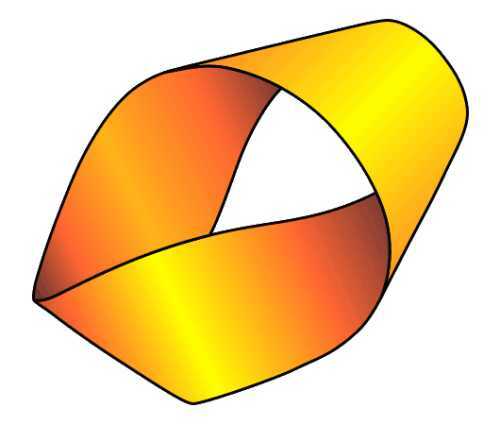 The Mobius strip, invented in 1865 by German mathematician August Ferdinand Möbius. 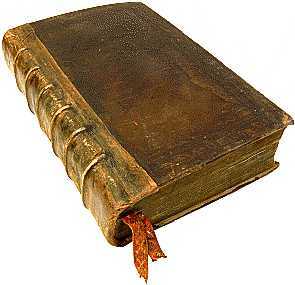 It has the unique and apparently inexplicable property of having just one side and one edge. This makes for longer-lasting conveyor belts and endless fun for mathematicians. It’s also a good metaphor for the struggle to know what REALLY happened with the history of NZ temperatures — have they gone up or down? It seems they’ve gone all around the houses and ended up just where they were 138 years ago. Who’d have thought? Most people take for granted that New Zealand’s surface air temperatures (SAT) have gone up over the last century. But is that true? NIWA’s official NZ temperature graph. The straight line is the linear trend over 100 years, showing we’ve warmed by about 1 degree Celsius between 1905 and 2005. Click for a larger version. Throw us a bone, mister? 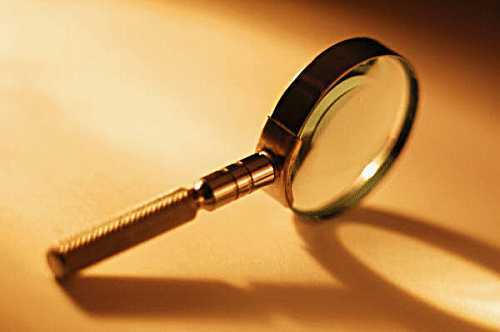 A magnifying glass. Such a glass helps to find evidence of things too small for the human eye to distinguish. This offers a useful metaphor when looking for evidence of dangerous human-caused global warming. 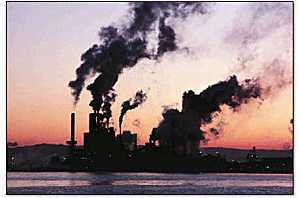 For, on the one hand, though it is highly likely there is a human influence on the climate at the global scale, nobody has found evidence of it even after the spending of $50 billion over 20 or 30 years and, on the other hand, though evidence is said to be “mounting” and even “overwhelming” nobody will actually say what that evidence is. So on two counts evidence is hard to come by. In their philosophical banquet hall they dine on pure science. Their table groans under the weight of hypotheses, complex thinking and evidence. Their huge intellects, beyond the ken of we ordinary folk, address issues we cannot imagine and their highly skilled minds devise solutions to problems we didn’t even know existed. We are grateful when at last the Royal Society academicians let us know what for our good they have decided to do, then we can express our appreciation for the care they take over us. Yesterday, the Chief Science Advisor, Peter Gluckman, made a speech at NIWA in Auckland. He addressed, as was proper for a scientist in the exalted position of advisor to our Prime Minister, high questions of science and its practise and development. He referred to the Royal Society, in England, celebrating this year the 350th anniversary of its founding. What a wonderful society, wonderfully inspired and courageous in countless periods as it championed the cause of empirical, evidence-based truth and reason. A few fish in the sea, possibly searching for the “missing heat” they’ve heard about from some fishy friends. The whole affair’s a bit fishy, however, since the idea of heat hiding somewhere is unknown to science. Of a certainty, this is the first time the world has been warned it might be “haunted” by heat that cannot currently be located. It must be just a ghost of an idea. We cannot take it seriously, even if the Royal Society might. More importantly, this Science article takes direct aim at our Royal Society’s recent “proof” of global warming. Here’s an article by Kevin Trenberth from this week’s Science Journal that directly contradicts the recent statement on Science, Climate Change and Integrity by Professor Keith Hunter, Vice-President of the NZ Royal Society. We look forward eagerly to the public debate that will surely follow this disclosure of discord within the formerly close-knit climate science community. Current observational tools cannot account for roughly half of the heat that is believed to have built up on Earth in recent years, according to a “Perspectives” article in this week’s issue of the journal Science. Scientists at the National Center for Atmospheric Research (NCAR) in Boulder, Colorado, warn that satellite sensors, ocean floats and other instruments are inadequate to track this “missing” heat, which may be building up in the deep oceans or elsewhere in the climate system. A snow-covered Stevenson screen — which seems to put global warming into perspective. 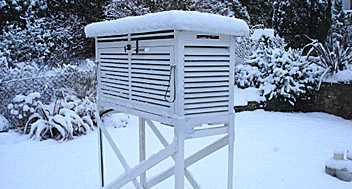 This standard enclosure for weather recording instruments, such as thermometers, hygrometers, psychrometers and barometers, was invented in 1818 by a British engineer. It keeps the instruments dry and shades them from direct rays of the sun while allowing the air to circulate freely. For more on Stevenson screens, weather stations and generally measuring temperatures, visit Watts Up With That (perhaps our favourite climate site). NIWA keep talking about various reasons to adjust the official New Zealand temperature readings. They say one must account for changes in location, exposure, urbanisation and instrumentation. For some reason they continually harp on about the altitude difference between Thorndon and Kelburn (Wellington). 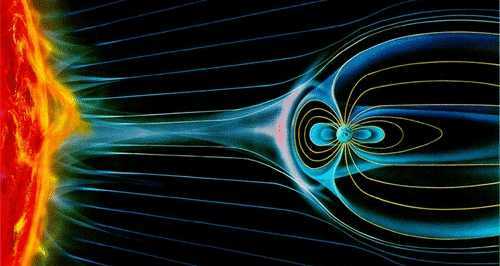 An artistic impression of the Earth’s magnetic field, showing how it’s deflected by the solar wind. Notice how large the protective field is compared with the size of the Earth. Imagine how vulnerable we would be if anything happened to the magnetic shield—such as, for example, through “clumping” of the ferric content of the Earth’s crust by mankind’s destructive iron mining in the selfish attempt to build a civilization. Is that scary enough for you? The mining of iron-ore alters the planet’s magnetic field and results in an increased incidence of cancers, plus assorted pandemics, due to increased penetration of cosmic rays, mainly of solar origin. Furthermore, the unbridled “mass-shifting‟ of iron from Nature‟s uniform distribution within the Earth‟s crust toward concentrated artificial “lumpy‟ distribution when it is used to construct buildings, bridges and other structures and products of mankind‟s evil inventiveness, causes the planet’s magnetic field to become “unbalanced” and dangerously diminish in strength. It will ultimately reach a tipping point whereby a total magnetic field collapse or reversal will occur unless we desist from mining and halt the spread of civilization. The Earth will become uninhabitable and all life forms will expire. 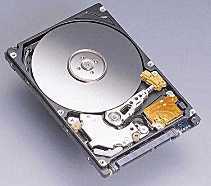 A hard disk drive, symbol of computers, source of web sites, linked by the Interweb. I’m sorry if you couldn’t reach our site today (Friday). A technical glitch has been resolved and we’re up and running again. Some comments have been delayed but not, I think, lost. If your comments don’t appear, please post them again. A man with his head in the sand. Can he feel the heat? The Waikato Times today carries an interview with Dr Jim Salinger by Jeff Neems. The heading is Salinger doesn’t feel critics’ heat. Which probably explains why he doesn’t reply to the criticism. I think there is something to be said to Dr Salinger. He gets away with some elasticisation of the facts. Do you think we’ve attacked Salinger personally and not on facts? I don’t. We’ve directed our criticism squarely at his PhD thesis and some things he has said. We have deliberately not attacked Jimmy himself. Science is about facts, not beliefs. I like to look at the facts and see what they say – if people want to attack me as a person, that has nothing to do with my science. It doesn’t worry me. NZ Royal Society. Science or belief? 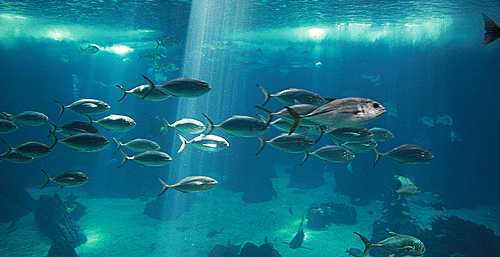 It is also clear that the oceans absorb about 85% of the excess heat resulting from this radiative forcing by greenhouse gases (as well as about 40% of the carbon dioxide). Detailed measurements of the changes in oceanic heat content, and the temperature rise that accompanies this, agree quantitatively with the predicted radiative forcing. This is far from “clear”. It is both absurd and wrong. 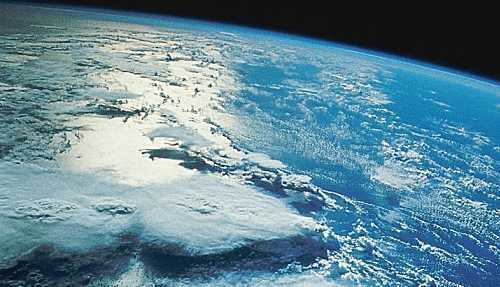 The ARGO programme has found that the ocean has been cooling since 2003. Despite expectations of warming, temperature measurements of the upper 700 m of the ocean from the ARGO array show no increase from 2003 to 2008. It is physically impossible. CO2 radiates infrared at wavelengths of about 12 microns, while the limit for sea absorption is 3 microns. The greenhouse effect involves wavelengths greater than 3 microns (mostly around 14 for CO2), while the absorption spectra for the oceans cover wavelengths less than 3 microns (mostly in the visible light range). It is not physically possible for the oceans to absorb 85% of the energy recycled by the Greenhouse Effect – and it’s even harder if you accept the IPCC argument that the impact of an enhanced greenhouse effect occurs near the tropopause (10-15 km above the ocean surface with a CO2 optical depth of the order of 10 m). Is Prof Hunter right? Is this a reason to believe in Anthropogenic Global Warming? NZ Royal Society. Trust or betrayal? It is simple physics that these extra gas concentrations will trap an increased amount of outgoing solar radiation reflected off the Earth’s surface, of the order of 1.5 watts per square metre of the Earth’s surface. Simple physics? If it is “simple physics” it should be able to be derived and written up in one page or at most a few pages of equations and calculations. How about it, Professor? In reality, the climate systems are vast, complex and we understand them poorly. If we understood them well, people like Keith Hunter would describe them and not take refuge in weasel words that obscure the difficulties of understanding. It was a silly mistake to mention “outgoing solar radiation” and damage his credibility. I guess that was the risk he ran of commenting outside his expertise. The physics of the greenhouse effect might be considered simple, but Hunter here ascribes causation for warming to humanity’s increased emissions of carbon dioxide. Which is a very different thing. NZ Royal Society. Leadership or tyranny? The mitigation measures suggested for climate change (reduced use of carbon-based fuels, more renewable energy sources, carbon capture and storage, less use of nitrogen-based fertilizers) are all part of a portfolio of approaches that are needed to produce a more sustainable world. See how the problem of climate change morphs at the end into producing “a more sustainable world”? Why does the focus change? What is the connection between climate change and the notion of sustainable practices, which covers an enormous range of activities, from sensible use of water supplies to mining for minerals to best farming practice to how to supply our hospitals? Surely climate change is involved in only some of the “sustainability” issue? Or could it be that a new codeword has been introduced? Sustainability is as ill-defined (or remains as undefined) as climate change. So as climate change dissolves as an unquestioned excuse for socialistic interference in our lives and as the mother of all tax justifications, will sustainability take over? Has it already taken over? Do emissions match measured increases in sea and air? NZ Royal Society. Knowledge or ignorance? Keith Hunter’s statement asserts: The evidence pointing towards AGW comes from multiple independent lines of argument, each pointing in the same direction. … a few examples follow. The amount of extra carbon accumulated in the ocean and the atmosphere matches the known quantity emitted by the combustion of fossil fuels. How can he be so sure, when nobody else is? Have human activities increased CO2? NZ Royal Society. Strength or aggression? It is a plain fact that human activities have significantly increased the concentrations of greenhouse active gases in the atmosphere, particularly since the mid-20th century. Who will tell him that nothing could be further from plain? What does he mean by “greenhouse active gases”? Does he mean that water vapour has increased in the atmosphere? Does he include methane? Nitrous oxide? Or does he only mean carbon dioxide? Does he exclude the possibility that increased temperature has driven more carbon dioxide from the oceans into the atmosphere? Urgent public meeting – reject the ETS now! John Boscawen has issued a notice which has just reached me. I urge everyone to send it on to family, friends and colleagues. This is your chance to be heard by the government. Do you want to see all prices rise after July 1? On July 1, the most pointless tax ever inflicted on New Zealanders will come into force. 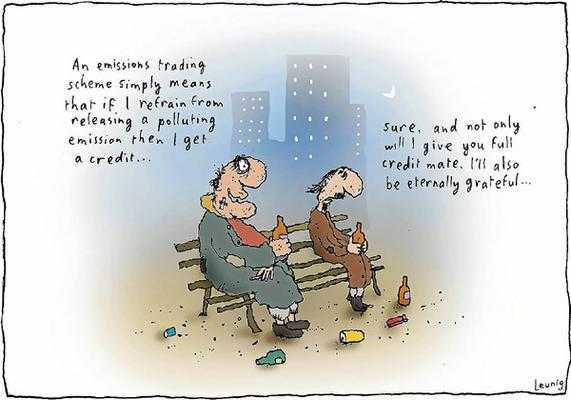 It’s called the Emissions Trading Scheme. And it will make not the slightest practical difference to the Earth’s climate. This is a story on the Emissions Trading Scheme, so I wanted a picture of carbon emissions. But when I was looking, I couldn’t see one, since carbon dioxide emissions are invisible (bit of global warming humour there). This is someone else’s. It’s actually a photo of steam emissions, but because it’s backlit the steam is dark, making it look like carbon, which is black, which makes stupid people everywhere think of carbon dioxide, even though it’s completely transparent, because the eco-mentalists have been showing us these pictures for years. There’s trickery everywhere! Protect yourself — learn the truth! BUT it will make a HUGE difference to your household budget. Whether you believe in global warming or not, all New Zealanders should be asking why we are the only country in the world to be forcing economy-wide cost increases on all its citizens. For no genuine reason! Cost increases that will make it harder for our businesses and exporters to compete. And cost essential jobs. The government and power generators will soon be celebrating windfall profits while you’re suffering a 5% price rise. Petrol will soon go up 4 cents a litre because of the ETS. The above rises will double to 10% and 8 cents a litre by 2013. The cost of EVERYTHING ELSE will go up after July 1, as the increased cost of power and transport forces increases across the board. Hot air being used to lift a hot-air balloon. Since hot air is invisible, it is essential to mention it when present, else it goes unnoticed while lifting the insubstantial into the heavens. Deep, huh? There’s little of royalty attached to recent climate change missives emanating from the Royal Society. Did I call them missives? I meant to say emissions. Professor Keith A. Hunter, FNZIC, FRSNZ, Vice-President, Physical Sciences, Mathematics, Engineering and Technology, Royal Society of New Zealand, issued a statement on 7 April entitled Science, Climate Change and Integrity. He means to support the hypothesis that human activity is dangerously warming the world’s climate. He uses whole sentences and impeccable syntax, but the evidence he cites is wrong. The package is lovely but the contents rotten. There are now several of our prominent public scientists who are unaware it is not sufficient merely to tog themselves out in the royal or other esteemed branding — they must actually live up to it and, before all else, speak the truth. The senior scientists who’ve made misleading public statements about global warming include Peter Gluckman, David Wratt, James Renwick, Brett Mullan, Andrew Reisinger and Jim Salinger. we’ve been trying to get access to. Yes, the title is correct: I can now reveal that NIWA have actually disowned the famous Salinger thesis, which describes a method of adjusting a time series of temperature readings when they become no longer homogeneous. Despite their repeated citing of the 30-year-old student paper, they don’t actually regard it as important. This has become clear after several months of diligent research by members of the NZ Climate Science Coalition. But first, we’ve discovered the true nature of the “public” access that NIWA claims for the thesis. And not is all as it seems. Can the minister confirm that Dr Salinger’s PhD thesis is still “publicly available”? If so, where, and how may it be obtained? A sand castle sitting prettily, happily, unaware that just behind it the great ocean is coming in that will sweep it away. Hurrah! That’s what always happens between truth and untruth. What is unreal will pass away; what is real endures. 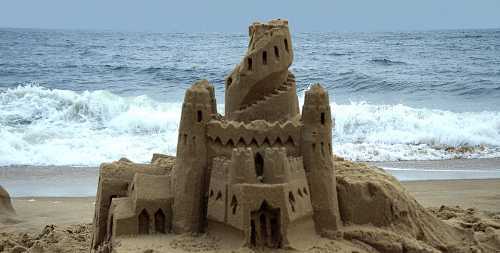 The sand castle depicting our influence on the climate will vanish; the real climate will remain. It seems urgent to directly attack the lack of evidence for dangerous AGW. Adaptation should be a no-brainer driver of public policy, but since the Greens stand in the way of that, shouting stridently instead for the nonsensical reduction in our emissions of harmless greenhouse gases, based on the falsehood of sinful human interference in the climate, they should be taken on by courageous politicians and electors alike. I note that some time ago Greenpeace took the cowardly decision to simply fail to respond to anyone questioning the causes of global warming, saying the matter was now decided.